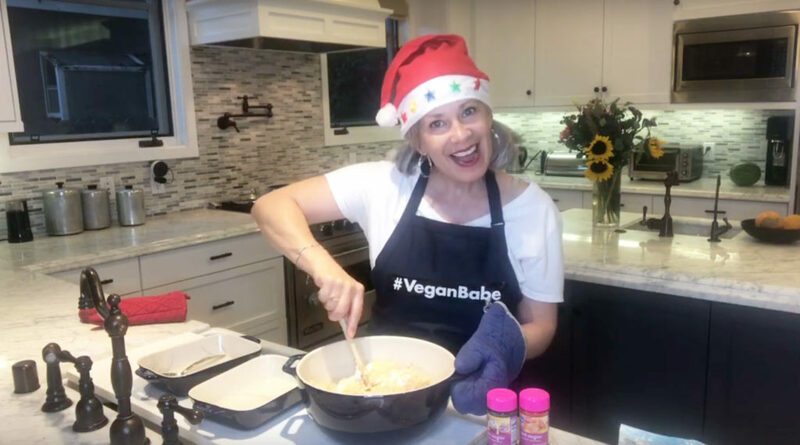 Vegan Rice Krispie Treats - Perfect in Under 10 Minutes! 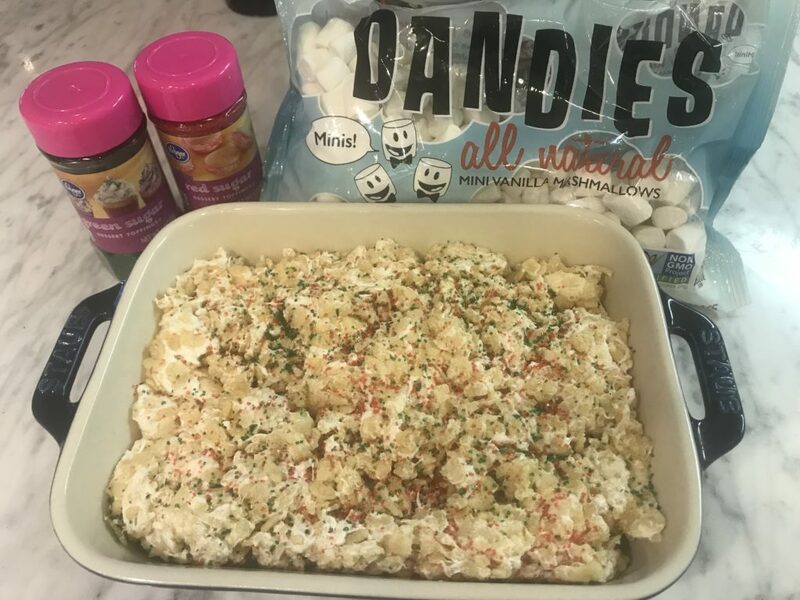 ‘Tis the season for fast treats that you can bring to holiday potluck parties! 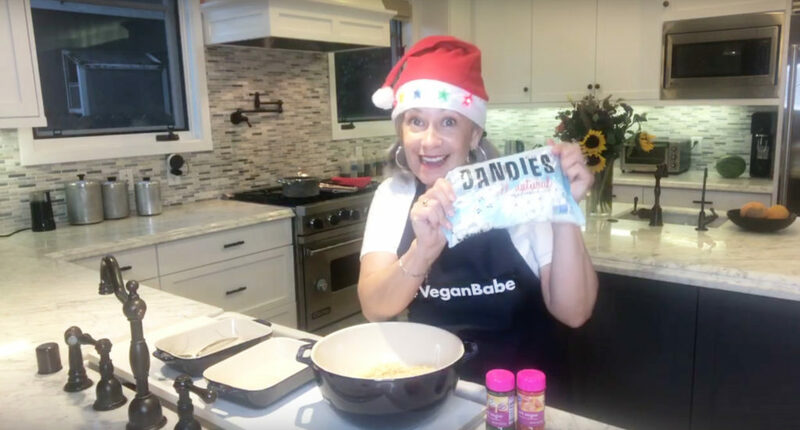 Vegan Rice Krispie Treats!!! 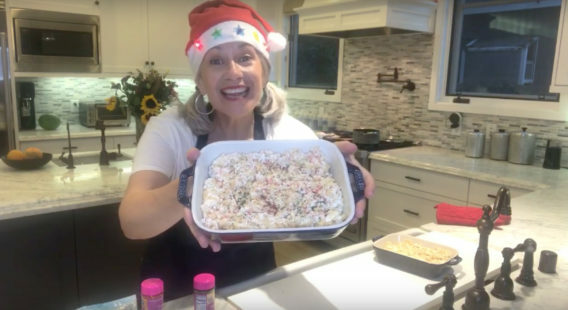 Need a quick dish to bring to holiday parties! Oh! I got your number! 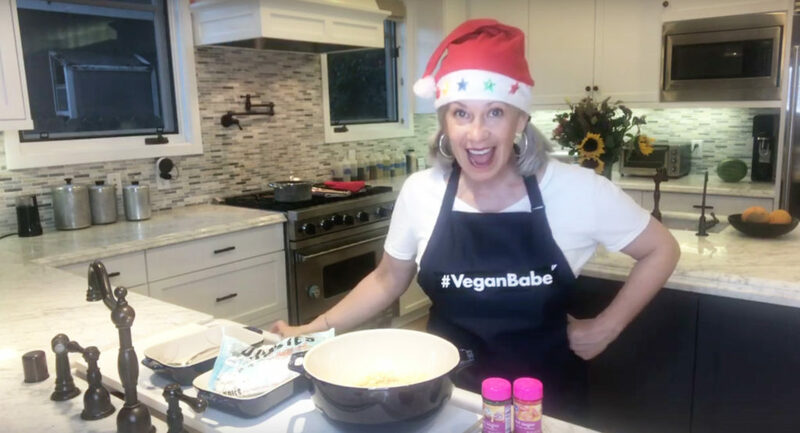 These vegan Rice Krispie Treats are made in less than 10 minutes! 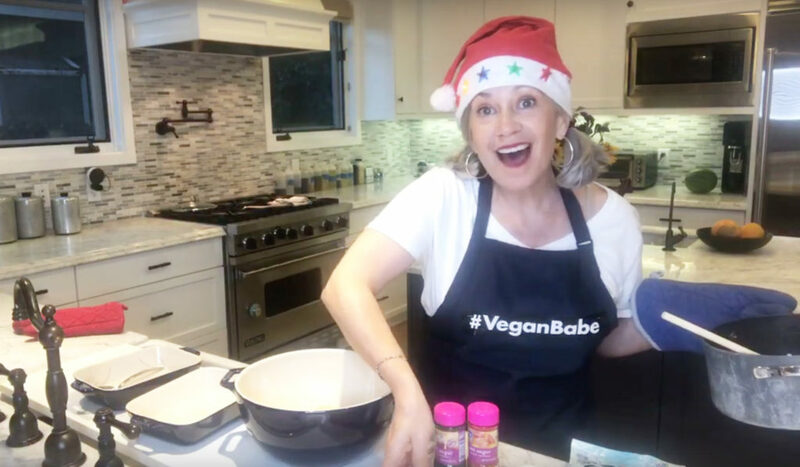 Silver Chic Chef Elysabeth Alfano makes vegan Rice Krispie Treats. Melt marshmallows and coconut oil on low heat. Takes about ten minutes. In a bowl put in Rice Krispies. 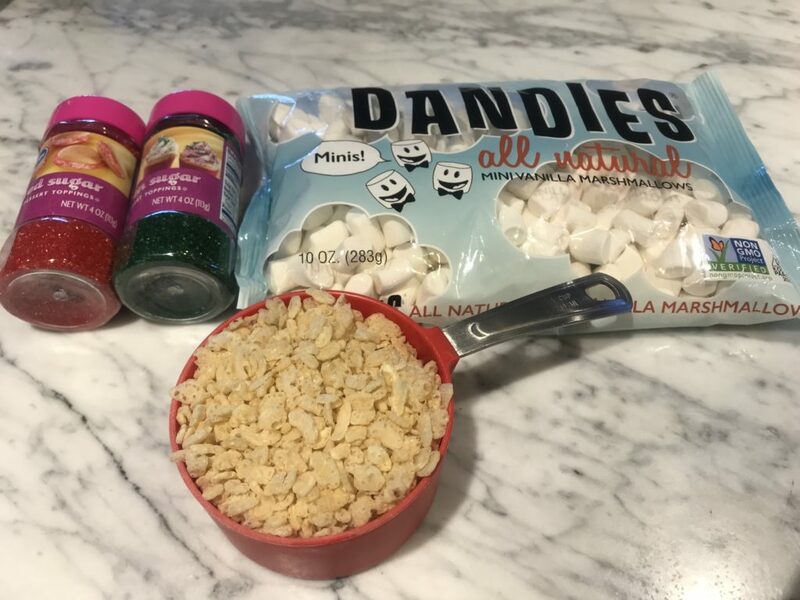 When marshmallows are completely broken down and turning carmel, pour/spoon into Rice Krispies and spoon/mix together as quickly as possible before it sets. Layer into a 9″x9″ pan and pat down to make even. Sprinkle on colored sugar and let sit for fifteen minutes. Enjoy!! !